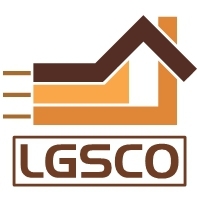 LGSCO is a national distributor, wholesaler, broker, and Independent representative of American made construction Architectural copper construction products. Such as Copper sheet, plate, coil, and bar. Copper rain drainage in traditional and euro style gutter, downspout, elbows, hanger, conductor heads, and accessories. Copper fasteners, rivets, and nails. We also sell Lead Products, Solder, and Soldering supplies. You can view my qualification, work history, and more than 1,000 skills recommedation from my LinkedIn connection by clicking below on the LinkedIn Profile Link.